TV chef Mary Berry made more than £1.5million last year as she continued to rake in the cash after quitting The Great British Bake Off. The 83-year-old has made more than a million pounds for the second year in a row. Berry, who has written more than 70 cook books, selling 5m copies, refused a massive pay rise to stay with the former BBC hit show, when it was poached by Channel 4 in 2017. She has been rewarded with her own series, Mary Berry Everyday and Mary Berry’s Country House Secrets. The kitchen queen has proved to have a strong head for business. 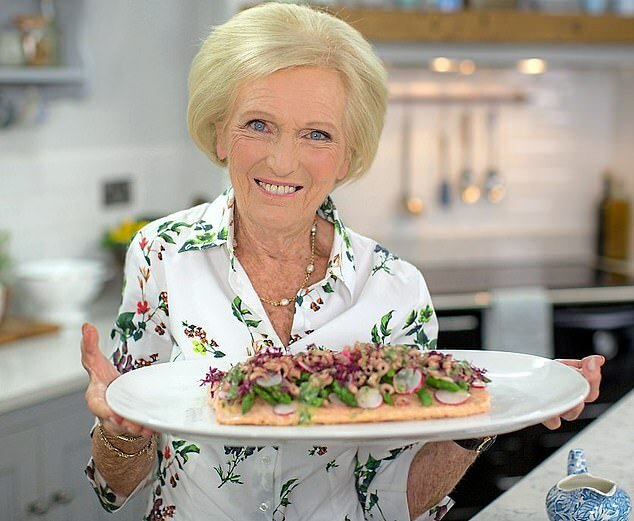 Accounts show Mary Berry Limited made a profit of £1.5million in 2018, adding to the £1.2million she made the year before. And her merchandising company, Mary Berry Merchandising Limited, made a £288,390 profit, compared to £253,592 in 2017.